Edward Ardizzone: The Model & her Reflection. Lithograph, re-strike 1999. 50 x 65.5cms, 24 x 35.5cms (image). The 1st edition was of 25 copies, issued in 1955. This is no. 59 of 75 copies re-struck in 1999. Category: Miscellaneous. 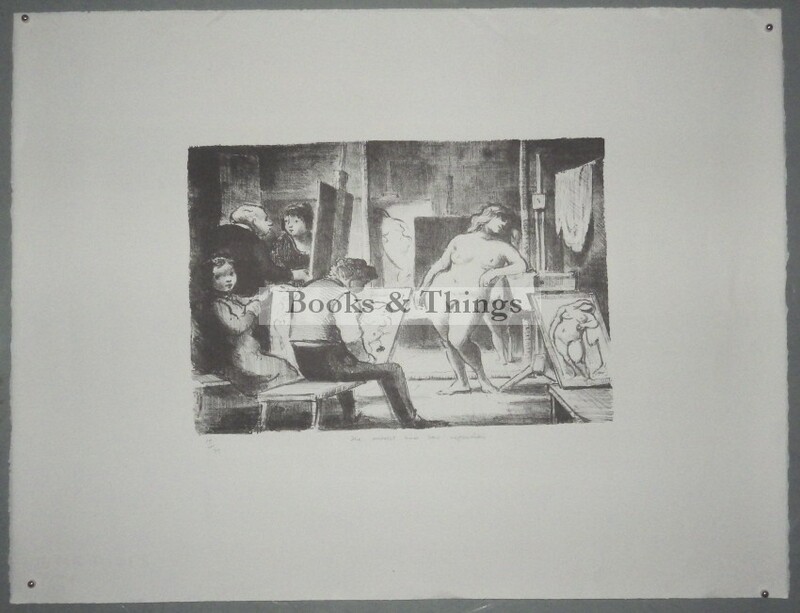 Tags: Edward Ardizzone, Edward Ardizzone artist, Edward Ardizzone lithograph, Edward Ardizzone print, Edward Ardizzone prints for sale, Edward Ardizzone The Model & Her Reflection, The Model & her Reflection.